Earthquake Prediction: 5.4R in Greece 55km South of Rhodes. 5.4R in Greece 55km South of Rhodes. 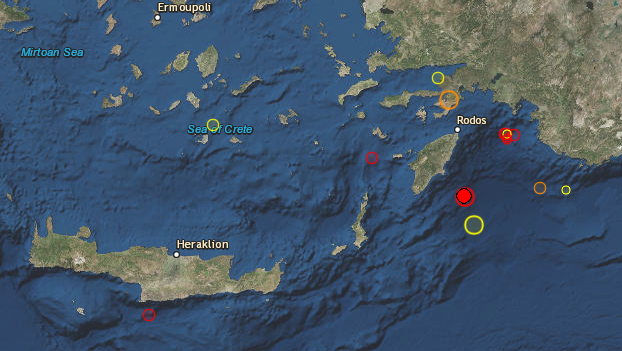 A powerful 5.3R earthquake has just been reported 55km South of Rhodes in Greece. The Athens University Geodynamic Institute says the undersea quake struck at 16:30 local time (14:30GMT) Thursday some 55 kilometers (38 miles) south of Rhodes, in the southeastern Aegean near the Turkish coast. Its epicenter was about 10 kilometers beneath the sea bed. A smaller quake rattled the same area Tuesday. The epicenter location is seen on the top map above. 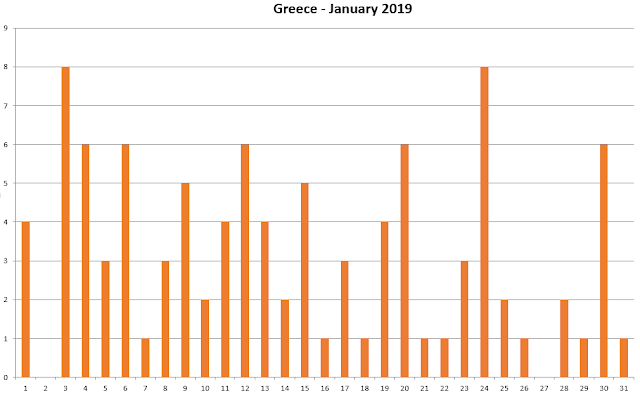 We also attach for reference our expectation calendar for Greece where it cannot be clearer that the expectation is there. The depth is 68km. Another success of FDL. No injuries or damage immediately reported.